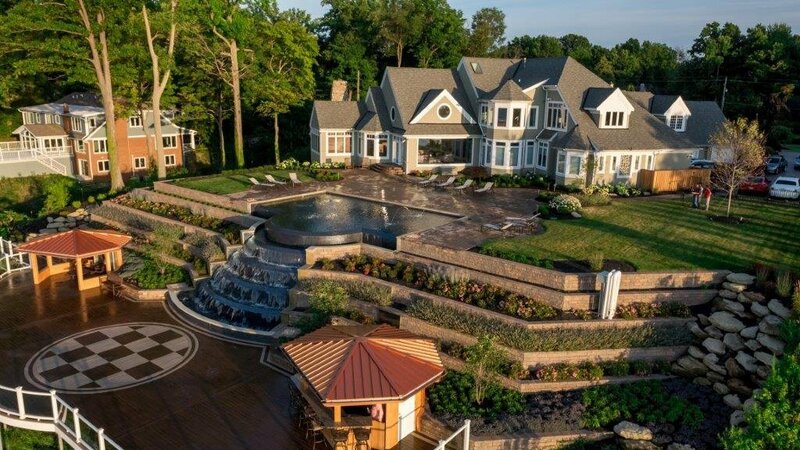 Does your landscaping need a certain something? Does your current landscape design lack form, substance, or personality? If you're looking for a solution to these problems, consider boosting your home's curb appeal with natural stone walkways. 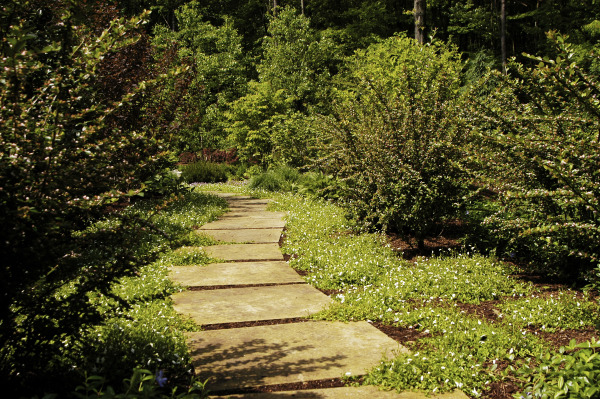 Natural stone walkways add texture, dimension, and form to your landscaping. They can take an ordinary horizontal surface and turn it into an artistic focal point. If you haven't investigated natural stone walkways for some time, you'll be pleased to learn that there are new products available today that give you a wide variety of options. An experienced landscape designer can help you decide which of these options would work best for your home and give you the custom look you're after. The following paving techniques all provide a custom, high-end finish, but they're all a little different. Read on to learn about each type of walkway and how they can boost your home's curb appeal. 1. Stamped Concrete. Stamped concrete proves that walkways are for more than just getting from Point A to Point B. Replacing a standard, plain gray walkway with stamped concrete is a sure way to heighten your home's style. When you choose stamped concrete for your walkways or driveway, you can choose from many different patterns and colors, enhancing your home's current styling or giving your landscaping a whole new look. 2. Brick Pavers. As with stamped concrete, brick pavers offer you a variety of different colors and patterns to complement your home's architecture and your individual style. Brick pavers stand up to all kinds of weather and provide a nice non-skid, non-slip surface that performs well for many years. Brick pavers give your home a luxurious old-world look. 3. Uni-lock Concrete Paving Stones. Fairly new to the landscaping scene, Uni-lock concrete paving stones are engineered for luxurious living and a lifetime of unbeatable performance. These unique paving stones are made with a special proprietary formula that is four times as strong as conventional poured concrete. That means less maintenance for you, and it also means that your pathways and driveway will look great indefinitely. We offer four different lines of Uni-lock concrete paving stones. Select. Uni-lock Select paving stones come in a variety of different styles, from the European cobblestone replica Courtstone to the nature-inspired Rivenstone, which has the look and feel of flagstone without flagstone's brittleness. Tumbled Pavers. Uni-lock's Tumbled Pavers have an antiqued, tumbled finish. They're the perfect solution for a yard in need of natural stone walkways because they have the look of age-worn cobblestone. Each piece has irregular edges, giving your landscaping a timeless, classic appearance. Permeable Pavers. Uni-lock's Permeable Pavers use face-mix technology to increase durability and offer better color retention. These unique pavers can create beautiful pathways and driveways, and they can also be used as a solution to embankments, spillways, and other areas that require erosion control. Standard Pavers. Standard Pavers provide you with a variety of different patterns and colors, so you can design one-of-a-kind walkways and driveways for your home. Some patterns work better for expansive areas like wide driveways, and others are perfect for small, curvy pathways. Whatever you need, there's likely to be a Standard Paver that works for you. 4. Natural "Flagstone" Walkways. When natural stone walkways are the perfect look for your landscaping, the look of flagstone is second-to-none. Flagstone has an organic feel that works well with almost any combination of lawn and foliage. Our "flagstone" walkways come in granite, limestone, and sandstone. You can choose the color that works best for your home. Contact us to find out more about driveway and walkway projects.